In between all the Christmas baking, I am still (attempting to) cook and eat normal meals in between. 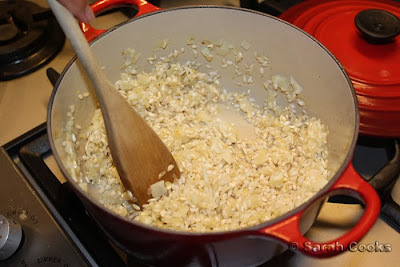 On Tuesday night, I suddenly had a craving for risotto, and so, set about cooking one! This recipe comes from Jamie's Italy, and starts with a base of standard white risotto. 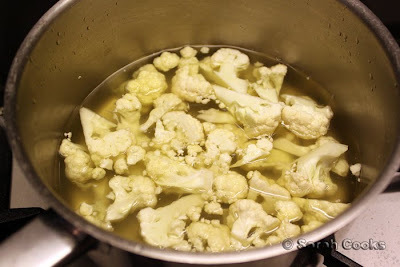 Pieces of cauliflower are cooked slowly in the hot stock, which is added to the rice in ladlefulls. 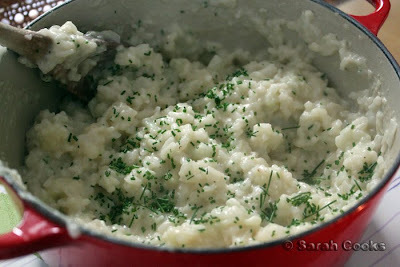 This results in a cauliflower-flavoured white risotto! 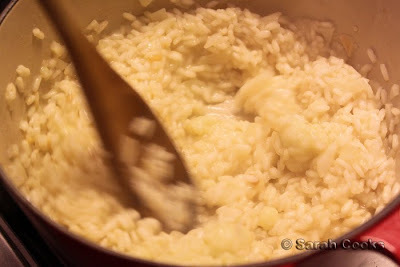 I was considering adding some cream, but after adding a generous knob of butter and some grated Parmesan cheese, the risotto became creamy enough. The recipe calls for chopped parsley, but as I had none on hand, I substituted chopped chives. Unconventional, yes, but I just adore them. Another touch that Jamie adds is an anchovy pangratto, for flavour and crunch. 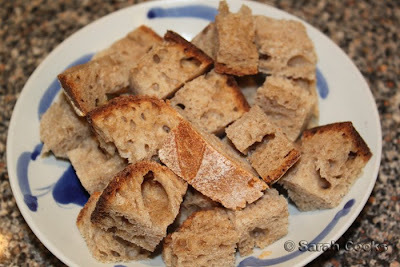 This involves taking cubes of stale bread, and whizzing them up with anchovies and dried chilli. 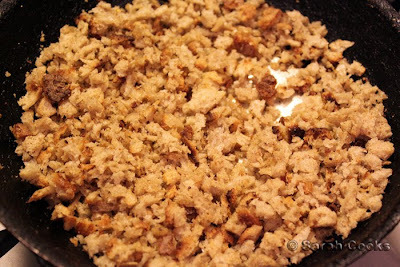 The crumbs are then fried in a little oil until crispy. 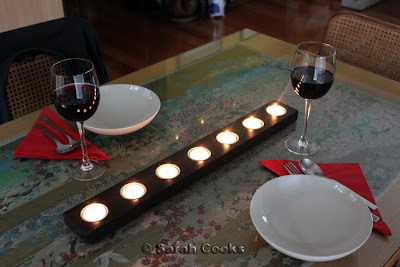 The candle holder was cheaply bought at Ikea! This was a very easy weeknight dinner, 30 minutes work all up, and all the more appealing for the rarity of the flavour. 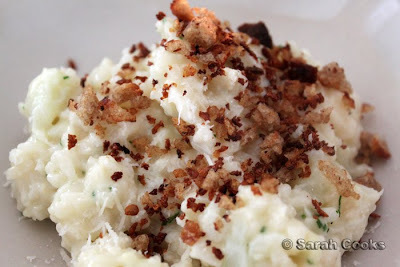 I liked the mild taste of cauliflower, and whilst the pangratto added interesting crunch and colour-contrast, I found the taste too strong, overpowering the delicate risotto. In future I would just season generously with Parmesan and salt, and either parlsey or chives.